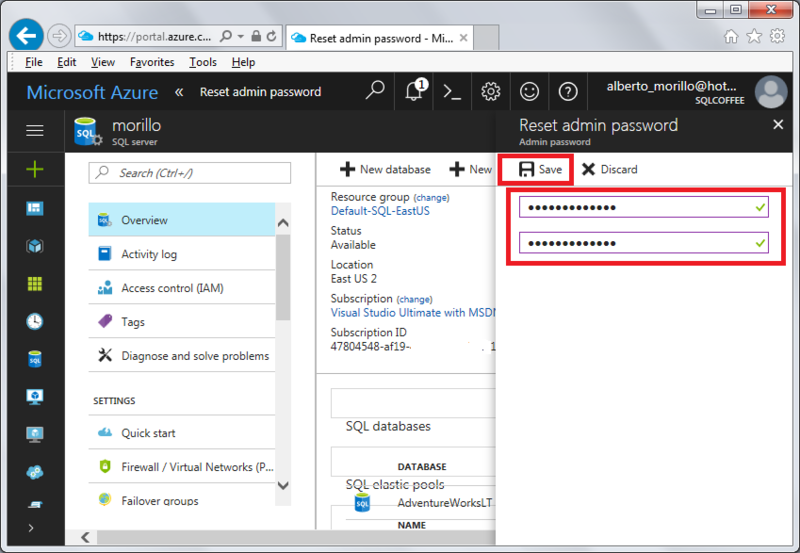 How to change Server Admin password on SQL Azure. 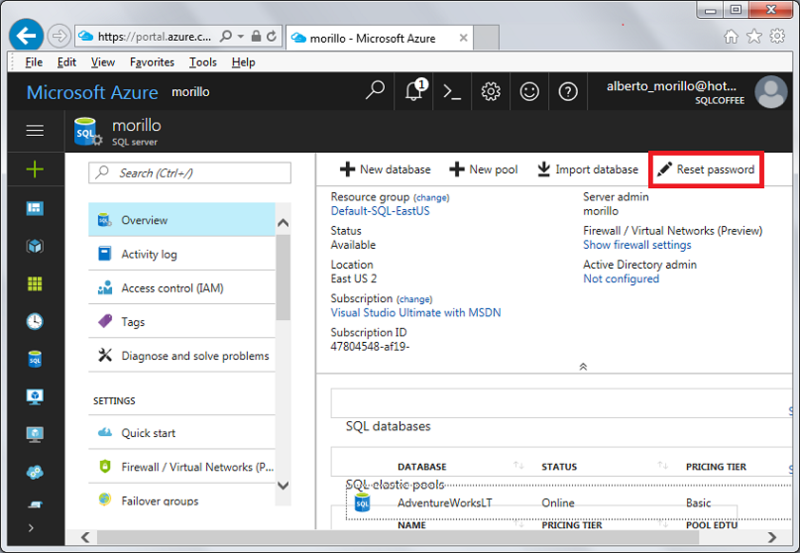 On this article we are showing how to change the Server Admin password on a SQL Azure Database server. 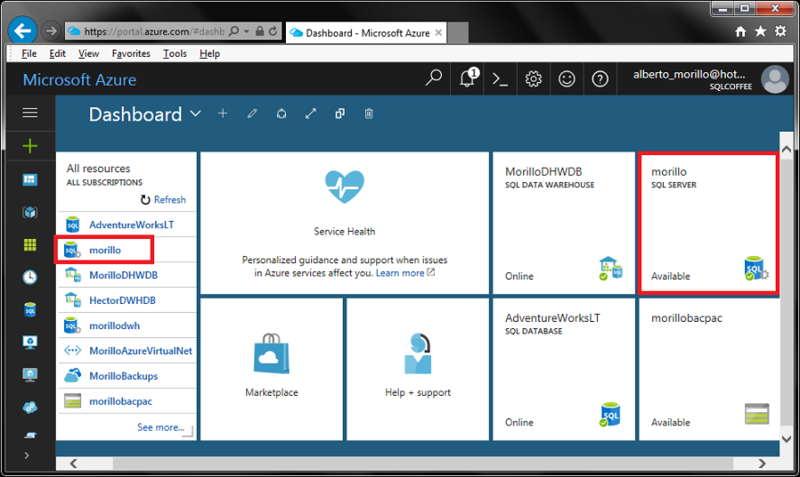 First, go to your Dashboard on Azure portal and make a click on the SQL Azure Database server. Make sure not to choose a database on that server. See on below image how the icon of a SQL Azure Database server should look like. Once you open the page for the Server, make sure you are located on the Overview section (highlighted on the left panel) and make a click on Reset Password on the toolbar as shown on below image. Now you need to provide the new password two times as shown on the next image, and click on Save. 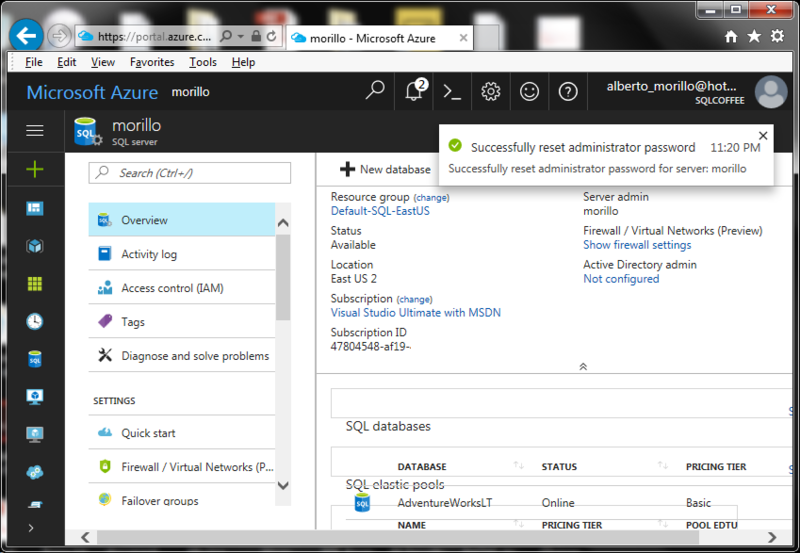 Azure portal will then send you a notification that the password has been successfully changed.